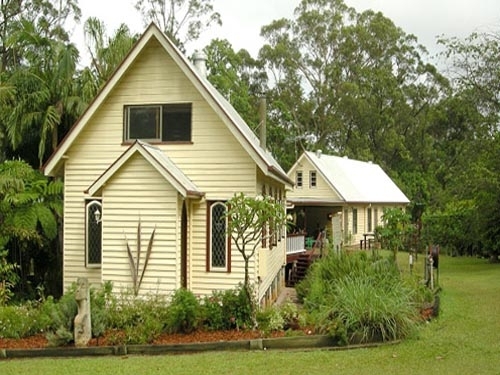 Peaceful and relaxing eco-friendly accommodation in the heart of the Glasshouse Mountains. 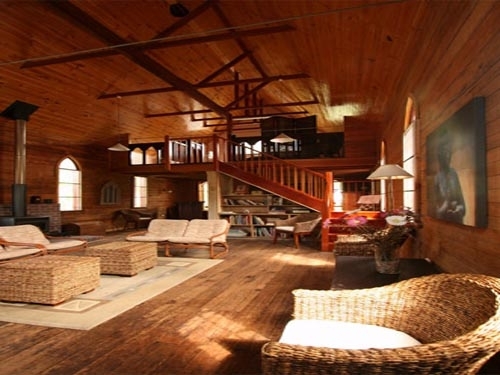 The Ecolodge is situated just 400 metres from the foot of Mt. Tibrogargan which is 364m high. 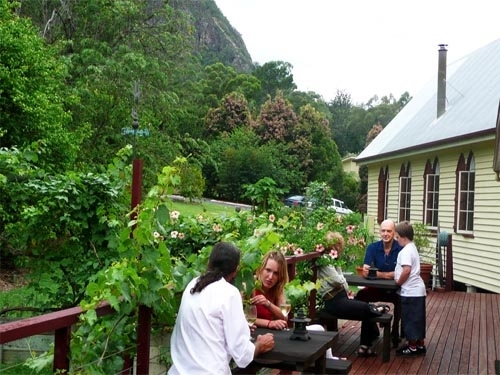 The buildings are surrounded by 2 hectares of gardens and a regenerating forest which borders a small creek. There are over 80 interesting exotic and native tropical fruit trees in our orchard and a small plantation of coffee trees which we harvest and process for use at the Ecolodge.